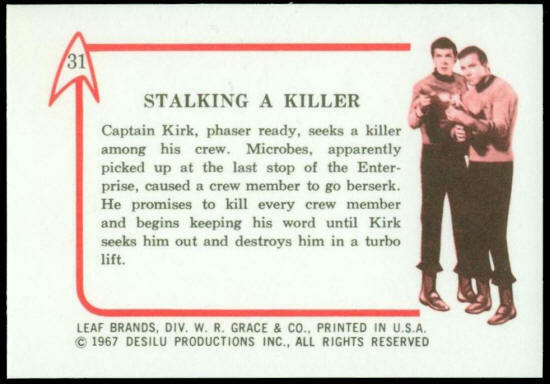 Captain Kirk, phaser ready, seeks a killer among his crew. Microbes, apparently picked up at the last stop of the enterprise, caused a crew member to go berserk. 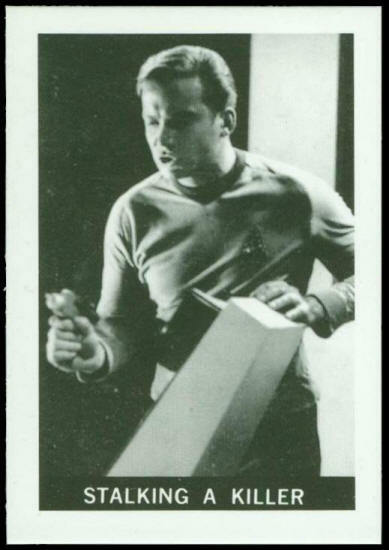 He promises to kill every crew member and begins keeping his word until Kirk seeks him out and destroys him in a turbo lift.